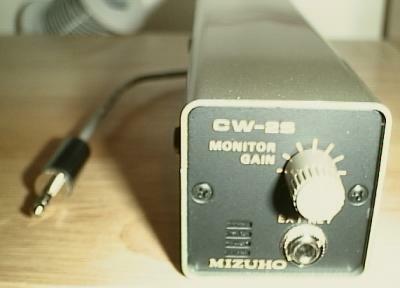 Mizuho made a wide variety of station accessories for the QRP ham operator, shortwave/broadcast listener, and radio direction finding entusiast. The major items, such as antenna couplers and matching amplifiers for the Mizuho transceivers have their own pages. This page is dedicated to other station accessories, both those that match specific Mizuho rigs and those which are for more general use. Please check back as pictures, specifications, manuals, and schematics will be added on a regular basis. The BM-6 and M-3 are soft plastic cases for the Pico series handheld transceivers. The M-3 fits the MX-2, MX-6Z, MX-10Z, and MX-15. The BM-6 fits the newer MX-xxS models.PR-3S and PR-1 Mounting BracketsThe PR-3S is the system mounting bracket for the most recent generation (MX-xxS) of Pico tranceivers. It holds the HT, the matching PL series amplifier, and either a blank plate or the CW-2S. Together with the MS-1 it creates a complete mobile or mini-base station. The PR-1 is a similar mount for the MX-2, MX-6Z, MX-10Z, and MX-15. 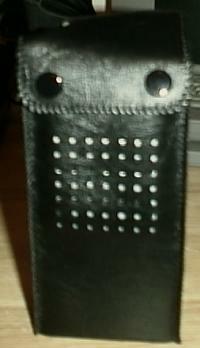 It holds the handheld, the matching amplifier, and either the VX-15 external VXO for the MX-15 or a blank plate.VX-15 External VXO The MX-15 is unique in that an external VXO option was made for it, allowing the use of more than two 50kHZ band segments without opening the radio to change crystals. Unfortunately this idea was not extended to other Pico transceivers. PM-1 DC-DC Converter The PM-1 DC to DC converter accepts 12-13.8V DC input and delivers 9.5V DC output to allow the Pico series transceivers and the P-7DX and P-21DX CW portable transceivers to be operated mobile or from a standard 13.5V DC power supply. 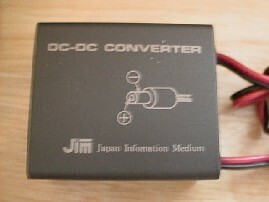 The PM-1 was also offered by Santec under their JIM (Japan Information Medium) brand name with a charcoal grey finish (picture) to match JIM branded Pico transceivers.PS-2 Power SupplyThe PS-2 is a 9.5V 2A regulated DC power supply for use with the Pico handheld transceivers and P-7DX and P-21DX CW portable transceivers. It accepts 100-110V AC input for use with Japanese and North American mains power. Weight: 1.4kgSX-3 Manual (page 1) (PDF format). SX-3 Manual (page 2) (PDF format). SX-59 and SX-100 Preselectors Detailed information about older model Mizuho preselectors will be added here shortly.SX-59 Manual (PDF format). SX-59 Schematic Diagram (PDF format). Frequency CountersDX-555D Digital Frequency Counter The DX-555D is a 200MHz digital frequency counter. More information coming soon.